I went to an all-day writing workshop this weekend, a fun way to spend a Saturday and very inspiring. As I was listening to the keynote speaker, an author who in addition to penning two books, wrote a column about life and family for the local paper a few years ago. She called her column "Small Moments" and spoke about how writing is all about those small, sometimes ordinary moments, woven together to create a story. 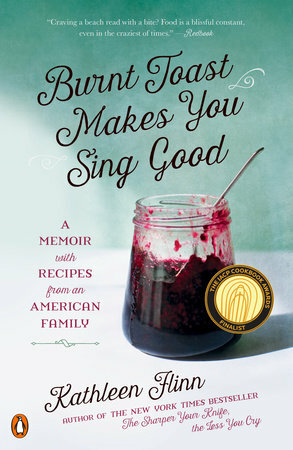 It made me think of our April/May Cook the Books selection, Burnt Toast Makes You Sing Good: A Memoir with Recipes from an American Family by Kathleen Flinn, a book made up of small moments--happy, sad, humorous, embarrassing, touching, and even annoying, that make up the story of a family. I had stumbled across Flinn's The Sharper Your Knife The Less You Cry (about attending Le Cordon Blue in Paris) a few years ago and then I reviewed her second book, The Kitchen Counter Cooking School (her experiences teaching a group of novice cooks how to make good healthy meals on a tight budget), shortly after. I loved both books and have been wanting to read this one to discover the food and memories that shaped Flinn and how she found her passion for cooking. I am only about a third of the way into the story (I'll be reading along with everyone) but am already enjoying Flinn's family stories--maybe because I can relate to being the youngest "trust me" baby in a large, crazy family without a lot of money growing up in the 70s in America. I hope you enjoy the book, along with the many recipes it contains and that it inspires you to head to the kitchen and cook something delicious. 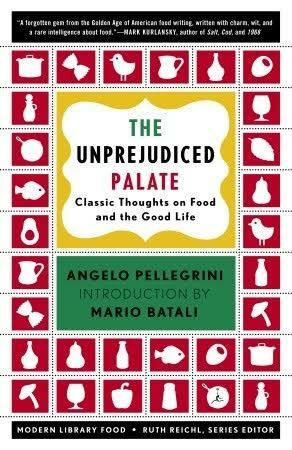 It's time for the roundup of Cook the Books' Club February-March 2016 edition for which we read The Unprejudiced Palate: Classic Thoughts on Food and the Good Life, by Angelo Pellegrini (1948). Now, please, make yourself comfortable, then follow me on a little literary / culinary journey. 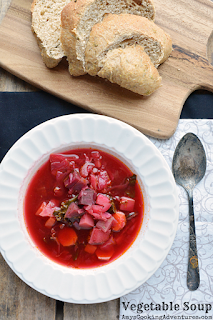 "I decided to make my mom vegetable soup for a whole host of reasons... it’s a family recipe - the generational ties felt important while cooking from this book... [The] author wrote briefly (and unenthusiastically) about cabbage soup over polenta (a dish served before moving to America). He also mentioned the diet of the immigrant or country folk being big on vegetables (especially leafy greens), low on meat, and able to stretch to feed a crowd. He also impresses the importance of fresh, homegrown (when possible) herbs, vegetables, and fruits for optimal flavor. 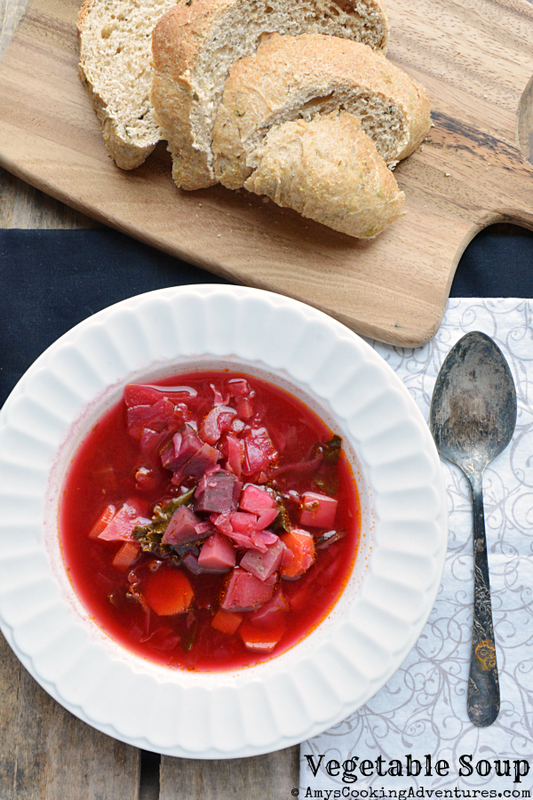 This vegetable soup hits all those points." Wendy did not care for Pellegrini at all. However, "I did find parts of the book interesting and enjoyed hearing his preparation of different foods. 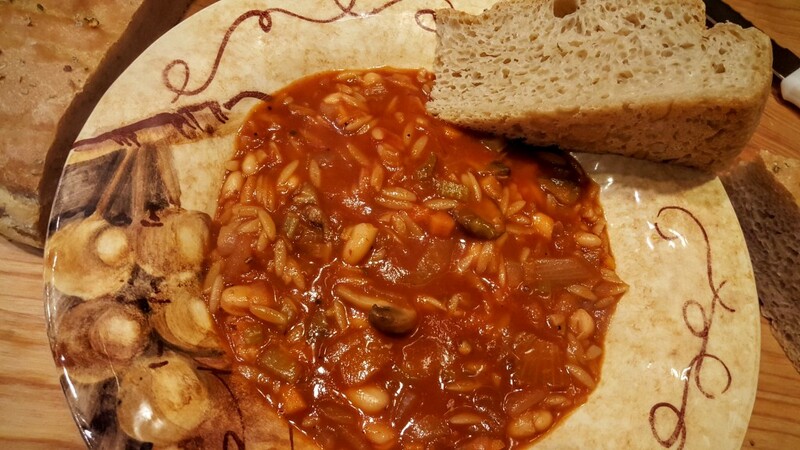 I especially liked the recipes using parts of animals or vegetables not commonly eaten here in the USA except by people, like me, who were taught how by their grandparents or parents who immigrated to this country... 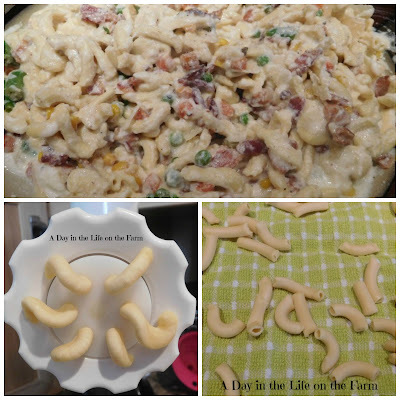 I decided that I was making homemade pasta and that I was doing it in the most American way I could." "This gentle book on the reminders of fine living was written nearly 60 years ago! 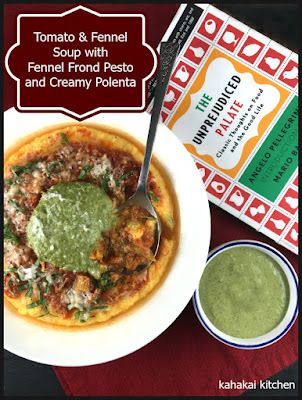 When I picked up my copy, it had a foreword by Mario Batali and was edited by Ruth Riechl, so I didn't know that when I started. The advice given within the book is still very relevant today. 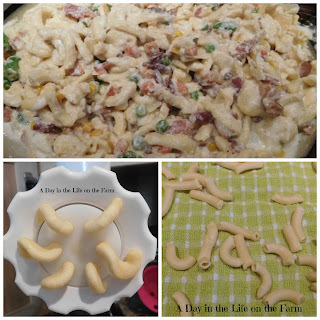 This will be a book I return to to make simple delicious meals!" 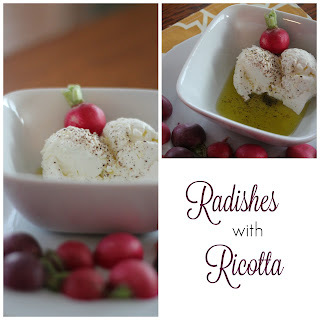 Pellegrini inspired Terri not only in the kitchen, but also in the garden: "This book inspired me to grow radishes this spring." "The memoir sections, from his young life in Italy and early years in America were very moving, especially the evocative cultural and economic contrasts. I had no idea of the extreme poverty in rural Italy at that time. He was so overwhelmed by the contrast in America, that I think it just broke his heart to see waste and carelessness with the precious gifts of abundance here. 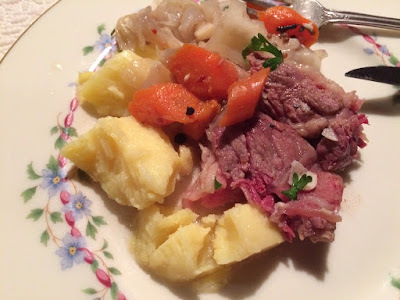 Corning your beef brisket from scratch would be right up his frugal little alley." "I love the Italian way of cooking and looking at food: nurture a garden, share well-cooked meals family and friends, and have a passion for ingredients and cooking that nourish the body and the soul. But, simultaneously, I felt more than a little disdain in the author's voice. Like the Anthony Bourdain of his time - remember this book is over half a century old! - Pellegrini struck me as condescending to the audience and critical of this land of plenty. Both of those left me with a sour taste in my mouth. This was a book that I both loved and loathed." "[Pellegrini's] philosophy is that the home garden should be the source of the food we cook and an essential connection to fresh, local and seasonal. Imagine this being written in the 1940's, far before today's food trends. Humble ingredients transformed... the fruit of our own labors brought to the table. 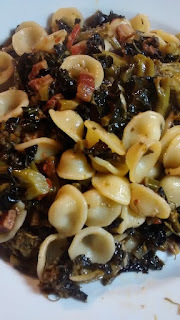 My Italian grandparents cooked this way even after coming to the US, so I know these practices well. What I really liked were Signor Pellegrini's suggestions (not recipes mind you), such as clear broth soups to start a meal... I really enjoyed his discourse on clams caught fresh from the sea." "Although Pellegrini’s tone borders on smugness, I can say that I felt educated by the time I finished the book. First, published in 1948, this book is still relevant today as we should all strive to plant our gardens, make our wine, and eat with gusto... I did not forage for the mushrooms or pluck the carrots from the garden; I did, however, clip the thyme and rosemary from our herb plot. And, this made a big pot, perfect for those impromptu guests that seemed to always be on his doorstep." 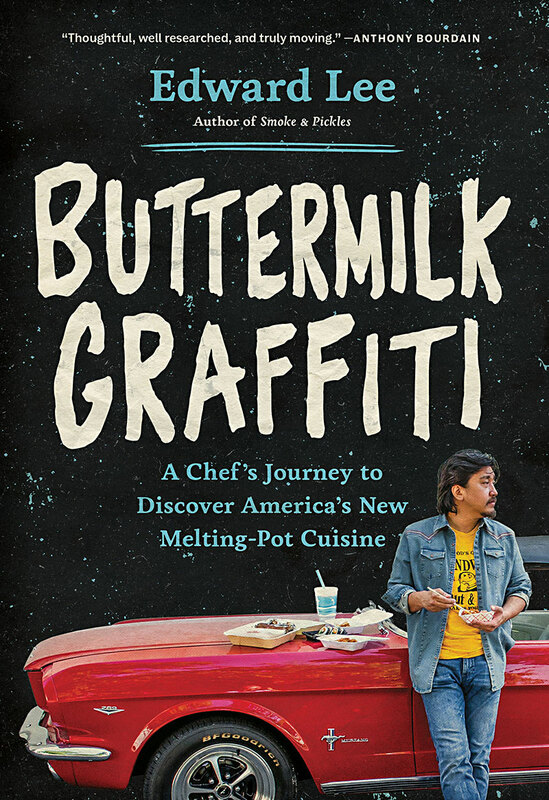 "The best parts of the book for me were his descriptions of an immigrant's life in America and the rise of ingredients like olive oil, garlic, and pasta that we take for granted today, but were once either exotic and hard to find or unpopular in this country. Pellegrini's recipe for the now ubiquitous pesto was published in Sunset magazine in 1946, the first major publication of a pesto recipe recipe... [There] are so many great little recipe ideas and cooking tips tucked into the pages of this little book that it makes the frustration in getting there worth it. Pellegrini was a master, just not someone I would have wanted to hang out with. ;-)"
"It's a curious book. It seems both to be extremely contemporary and from such an ancient past as to be completely alien. His writing is very dated, with a verbosity that most food writers wouldn't get away with now, but his concerns for eating fresh food, locally obtained and simply prepared are bang up to date. His bisection of humanity into civilised people and barbarians based on whether they ate macaroni salad would cause a twitter storm today that would only be eclipsed by his taste for eating songbirds." 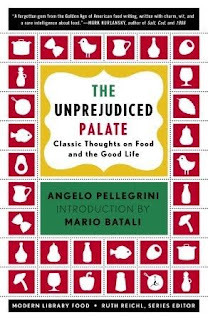 "Though it contains no detailed recipes, Pellegrini's book describes a lot of dishes. One that caught my attention is a simple side dish of broccoli boiled, then sautéed in olive oil and finally gratinéed with Parmigiano-Reggiano... There are a few things about which I am opinionated: Parmigiano-Reggiano is one of them. I buy a chunk and grate it as needed, right before it is needed. I am happy to report that Angelo Pellegrini and I are in perfect agreement on this topic." And now, I’ll turn things over to Deb of Kahakai Kitchen who will host the April-May edition in which we will read Burnt Toast Makes You Sing Good by Kathleen Flinn.